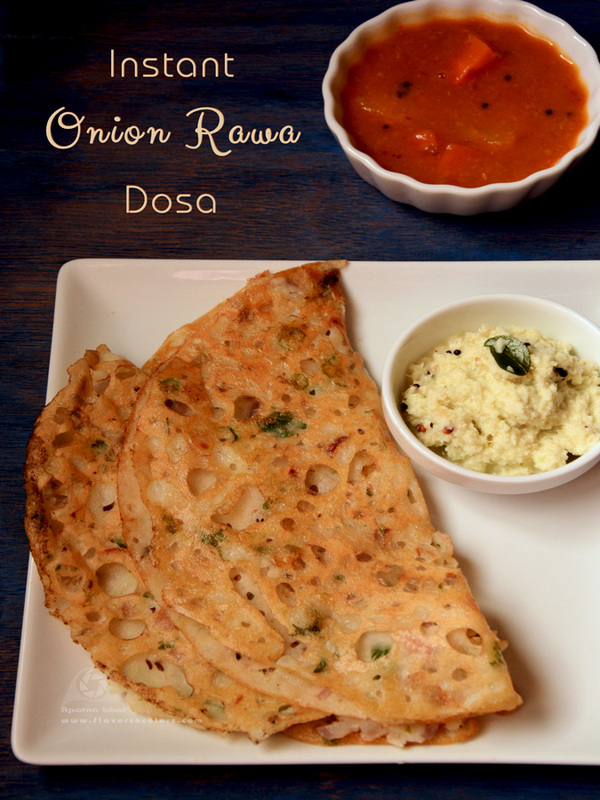 Rawa dosas are crispy semolina crepes, a must dish on South Indian menu cards. These crepes are tasty and can be prepared instantly [doesnot require fermentation]. Today the recipe is of this lacey dosa, a famous one from South India. My attempts of trying rawa dosa have been successful in past but the recipe that I picked up has maida in it. 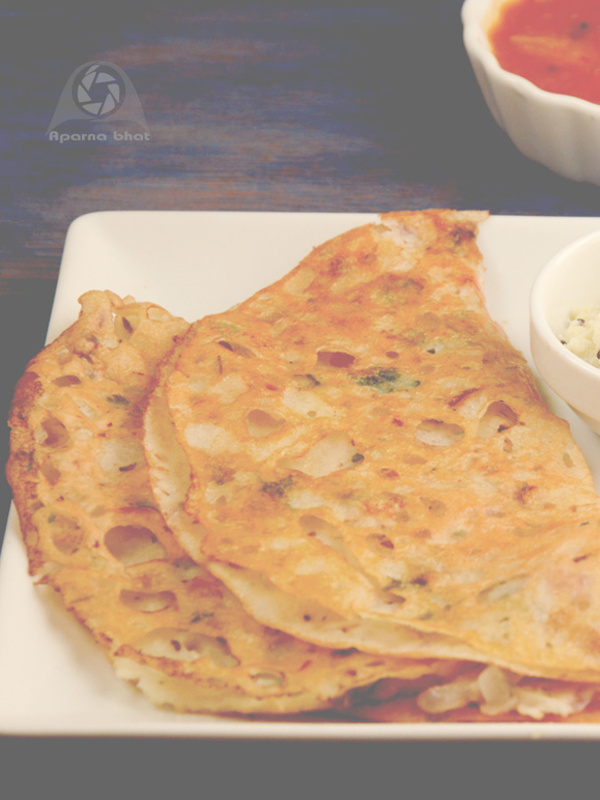 So when I read a NO MAIDA rawa dosa recipe on this blog I was happy and tried it immediately. Below recipe has been adapted from her blog with minimal modifications as per family preferences. Thanks Sushma for sharing your recipe. Take semolina, rice flour in a bowl. Sieve besan and add it to the bowl. Add water and salt. Mix well to remove any lumps. Make a batter, very thin with pouring consistency. Add finely chopped onions, cumin seeds, sliced green chillies, grated ginger, finely chopped coriander leaves, crushed peppercorns. Lastly add sugar. Allow the batter to rest for 15-20 mins. Heat nonstick pan and when it is smoking hot pour a large laddle full of batter from the sides of the pan towards the centre. Don't try to fill in the gaps/holes, leave them as they are and the dosas will turn crispy. Reduce the flame and cook it on low flame. Drizzle ghee as it cooks. Remove it from the pan when u see the edges golden brown and crispy. Fold in and serve it hot with chutney and sambhar. Stir the batter well before you pour it on the pan for next dosa. Take care to keep the batter of pouring consistency. Don't try to spread the dosa batter. You may add curry leaves, cashews, grated carrot as per your preference.